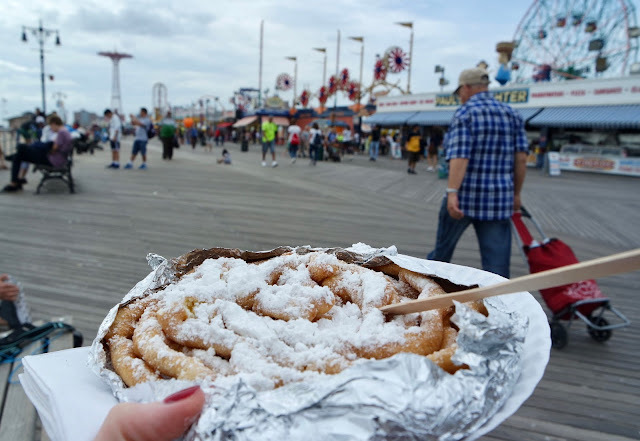 New York (Day 4) - Coney Island, Brooklyn | gingerbread smiles. I think most people who know a thing or two about America are familiar with Coney Island. The reason it made it on to our list to visit was because of Matt's love of the film The Warriors. To be honest, you probably haven't seen it. I've been in the room whilst it has been on, and still haven't watched it. Basically its a 1970's cult film about a group of gangs caught up in a shooting with one group getting blamed for it, The Warriors. They try to make their way home to Coney Island whilst being met along the way by the other gangs trying to turn them in to the police (it's on Netflix if you're curious). Now you're caught up... the film actually has nothing much to do with Coney Island, but if you go you'll see The Warriors merchandise in most shops. As I said, this is the reason we were heading there for a day of fun. To get there from Manhattan you've got to take the subway which took us about an hour on the express from Times Square. When we arrived I was instantly excited to start exploring. 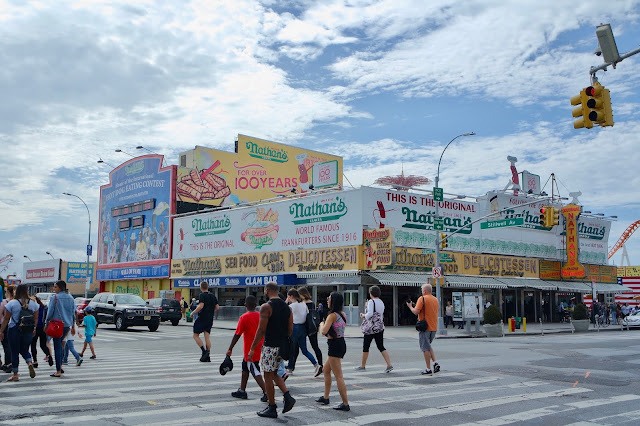 From the subway station you can see Nathan's Delicatessen selling their world famous hot dogs, the tips of numerous colourful rides and smell the sweet smell of fair food. 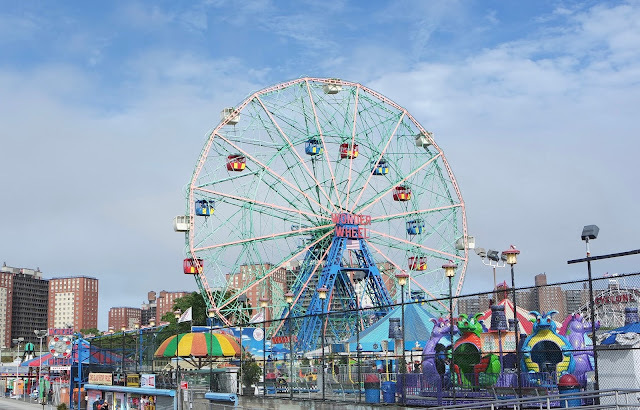 From the fantastic graffiti covering the walls, to the numerous rides all boasting different colours, everywhere you look in Coney Island is brightly coloured. 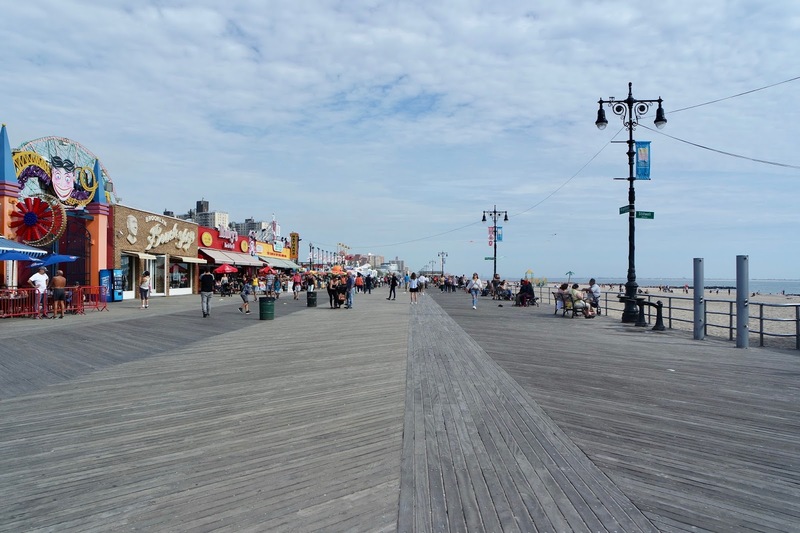 Walking around the amusement parks and boardwalk is really exciting. There is a new and interesting thing to see or do around every corner. 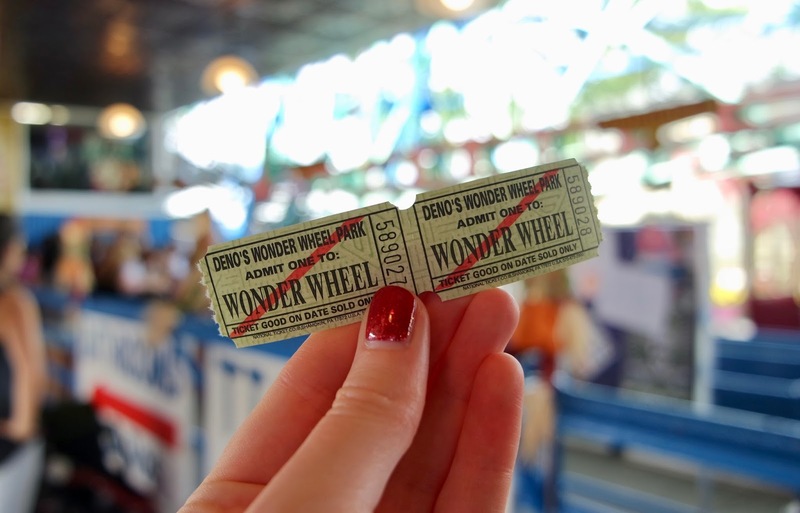 As it is one of, if not, the most famous landmarks in Coney Island, we had to take a ride on the Wonder Wheel. It's 150 feet tall and has 24 fully enclosed passenger cars with 16 of the cars able to slide and snake the wheel and another eight that are fixed. We of course chose the fixed as we're a little scared of heights. Once we were up there and saw what the swinging cars did, we were glad we picked the static. From up top you had an amazing panoramic view of not only the parks around you but further afield. In the distance you could even see the Manhattan skyline which was pretty special. After two goes round, it was time to get a famous Nathan's hot dog. 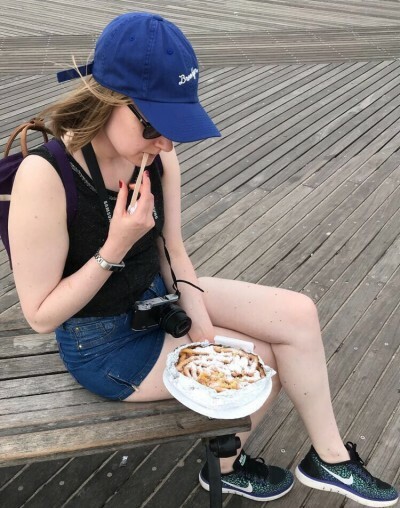 We walked the boardwalk, which made me feel super American, taking in the gorgeous beach and snapping up a funnel cake to try. As this one was already pre-cooked and just warmed for me, it wasn't that good. I'm not sure if eating it fresh would make it any better but it was just like a wiggly plain doughnut and I like more than that. 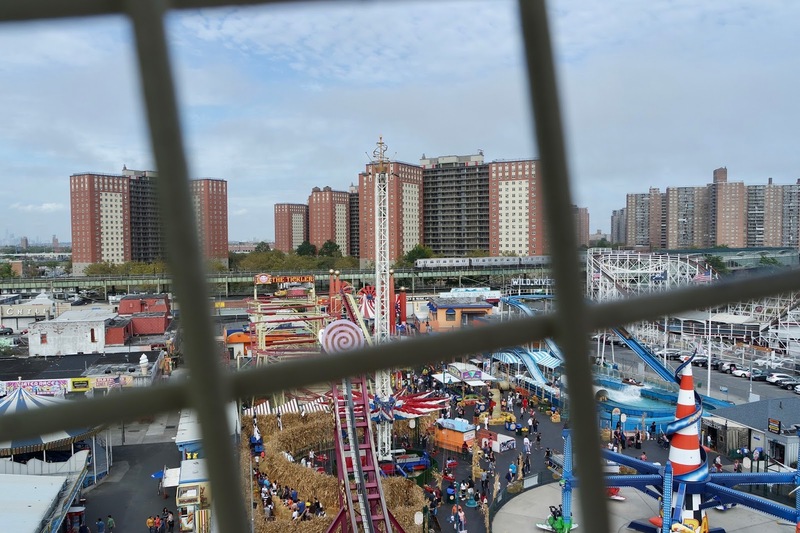 And just like that our time in Coney Island was up. 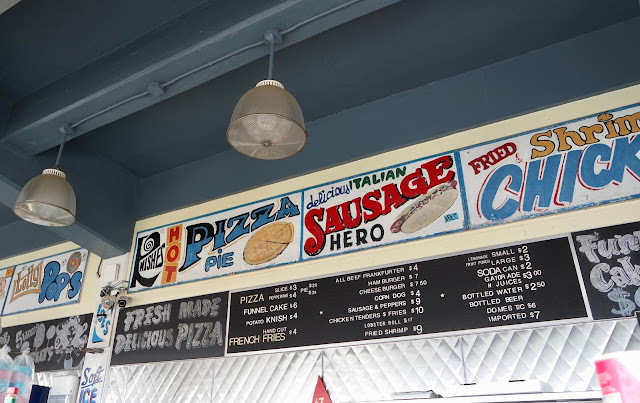 We were really happy that we'd taken the time to visit this place and it makes you feel like you're getting a real American experience, or at least one you see on the movies. 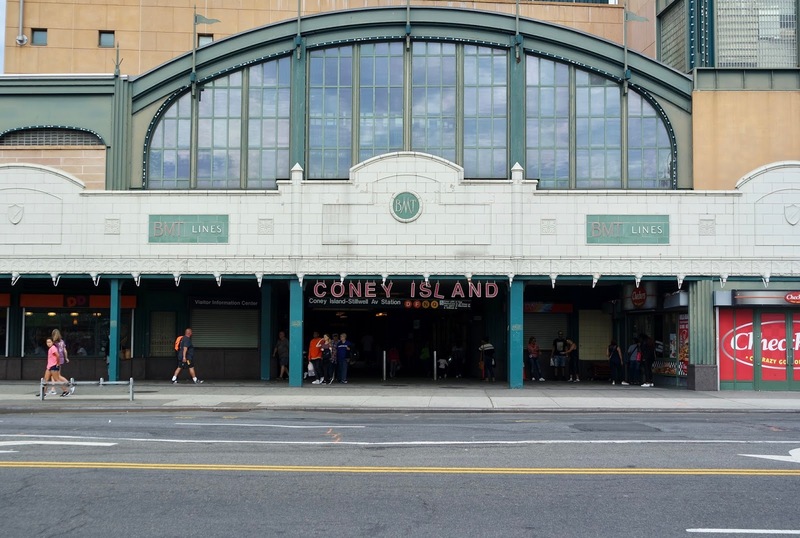 Just wondering around Coney Island and its numerous parks will take a few hours, so the journey down on the subway is definitely worth it. Make sure you get an express train back as we made the mistake of getting a local and it took us another 30 minutes. 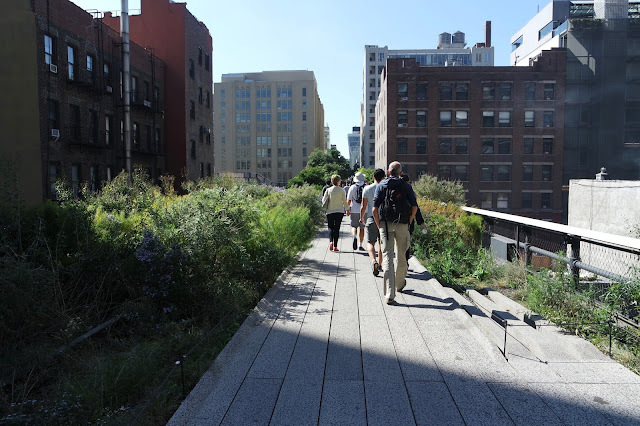 Next time you're in New York will you be taking the trip down? One of my uni housemates was OBSESSED with The Warriors! 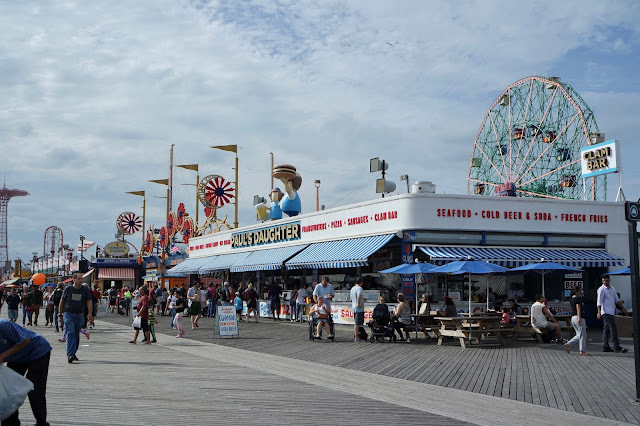 Coney Island looks so much fun, I'd love to visit one day!